A nice clean and well maintained example of this family sports cruiser. Performance is delivered by a 5.0 litre Mercruiser that had a major service at the beginning of the 2018 season. A generous bathing platform makes this an ideal boat for waterborne activities, water skiing, Ringo's, snorkelling. When you've had your fun, hose down with the transom shower. A comfy v shaped cabin, stereo, cool box and sink means the fun does not have to end when the sun goes down! 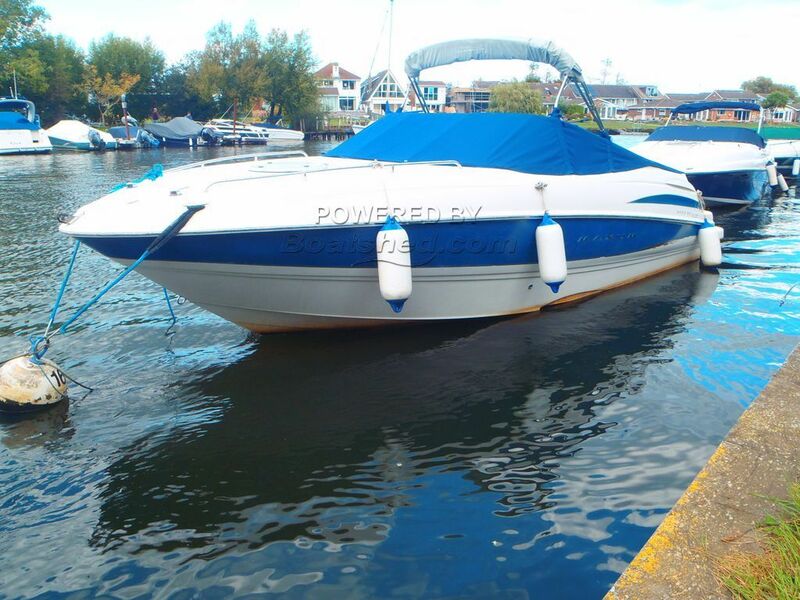 This Maxum 2400 SC has been personally photographed and viewed by Anthony Silver of Boatshed Lymington. Click here for contact details.